Value? 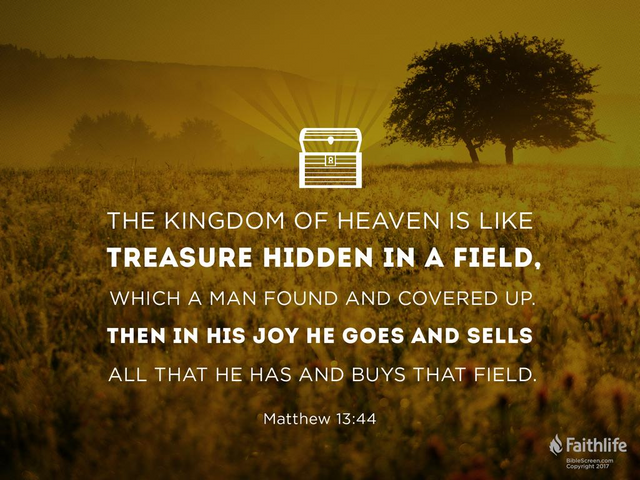 – Matthew 13:44steemCreated with Sketch. Are you willing to give up everything you have for the truth? If you are going to pursue the truth, you have to keep that in mind? Here’s the thing, there is nothing in this world of greater or even equal value to the kingdom. Not even close. Whatever you have to give up for the kingdom today, it will not even be thought of once you are in the kingdom. The question is what do you value more? I know that may sound like a silly question and why would I even ask it? But there may come a time when you will have to make a decision where you lose much of what you love for the sake of the kingdom. Can you do that? If not, maybe it’s time to do some soul searching to see what truly matters to you more than anything.